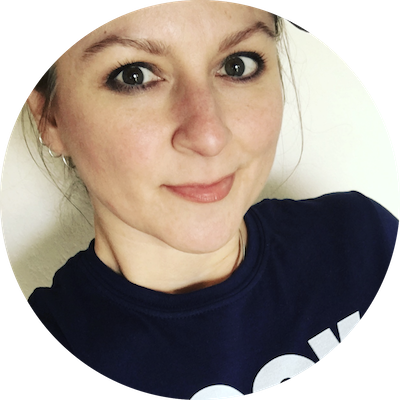 Fancy some pizza, wine, and a bit of a sweat? 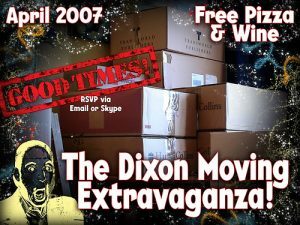 Come one, come all to the relocation event of the year: The Dixon Moving Extravaganza! Well, that may be hyping it up a bit, however, if you are free sometime during the week of 9-15 April 10-15 April (the 9th is Easter Monday), want a workout and some social time, then please consider joining us as we move a few hundred yards from where we live now. (Yes, the new place is that close and don’t worry, we’ll have a van.) The boxes are labelled, tidy, and we have very little furniture thanks to this current furnished flat. Easy-peasy. You know I’ll be there, at least in spirit!